Mix the Holidays with the fun of LEGOs, and you get the annual Christmas Bricktacular at LEGOLAND Florida, which started Dec 1, 2018. We were invited to attend opening day, and found families enjoying all the extra LEGO Holiday fun, in addition to the park’s regular offerings. 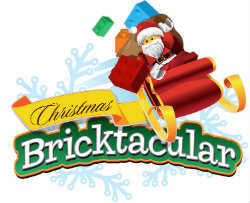 Out and About: Christmas Bricktacular Returns to LEGOland Florida! We were invited to attend LEGOland Florida Resort’s “Christmas Bricktacular” on its opening day, and we were excited to experience the event. Opening days are always a challenge as not everything is completely ready, and that was the case here. But that’s okay as the employees were fabulous in getting things done and making sure everyone had a great time. In fact, the staff was great and very friendly all throughout the park. In Fun Town, they had the store fronts and trees around the carousel decorated for Christmas. It was truly lovely. 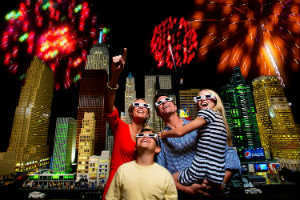 Close out 2013 with some family friendly New Year’s Eve events at LEGOLAND Florida December 26-31. Each night, Countdown to Kids’ New Year’s Eve features nightly fireworks over Lake Eloise at 7pm. Watch the spectacular fireworks explode into millions of tiny LEGO bricks with special 3D viewing glasses. Then on December 31, Happy Kids’ New Year’s Eve will be where kids get to rock out in Miniland USA with a live DJ Dance Party. The grand finale features a live-action show, an impressive LEGO fireworks display, and a chance to watch the BRICK Drop at a kid-friendly midnight (aka 7pm). Admission includes these events, a full day of theme park fun with more than 50 rides, shows and attractions, and Christmas Bricktacular on select nights. For more information, or to purchase advance tickets, visit Legoland.com. 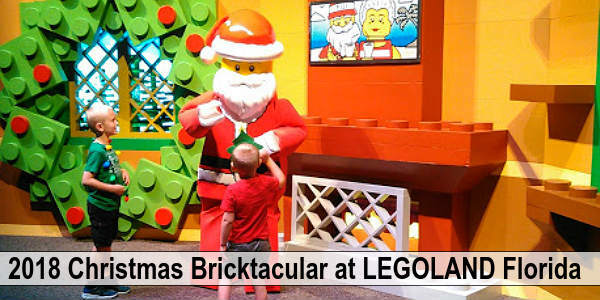 Kids and families will enjoy celebrating the holidays with LEGOLAND Florida‘s Christmas Bricktacular festivities, which take place weekends in December. A life-size LEGO Santa Claus – perfect for family photos. A 30-foot-tall LEGO Christmas tree made with a combination of 270,000 forest green LEGO and DUPLO® bricks. Through Dec. 22, a special family will be chosen to help light the Bricktacular tree each night. Dec. 21-22: Help LEGOLAND Florida build a LEGO Christmas Tree in time for Christmas day that will stand over 20 foot tall when completed. LEGO Santa and LEGO Toy Soldier Characters. Guests can also enjoy a full day of theme park fun with more than 50 rides, shows and attractions. 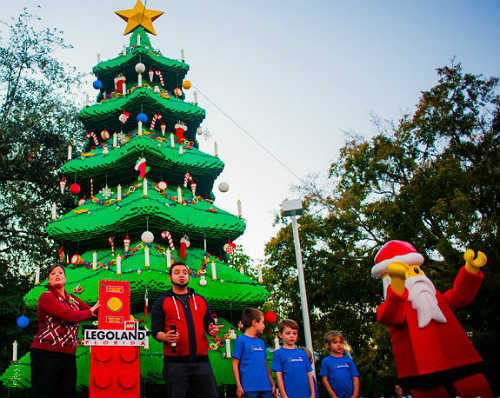 Legoland Florida launched their holiday season with a tree made of 270,000 green Lego and Duplo blocks last week on Thursday (11/29/12). 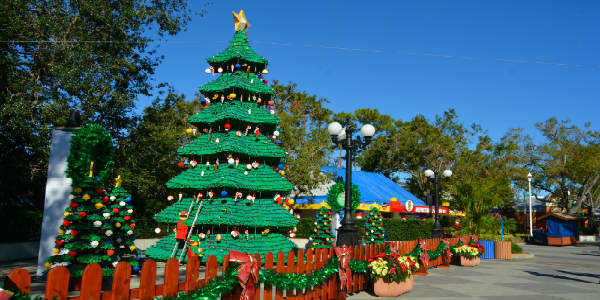 The 30-ft, 11-ton tree is a focal point of Legoland’s Christmas Bricktacular holiday event, which will be held at the park every Saturday and Sunday from now until December 23, 2012. On hand to help kick off the festivities was Chris Kirkpatrick of NSync fame. His charity, the Chris Kirkpatrick Foundation, will give trips to Legoland for 40 families of underprivileged children.